On Friday, October 30th, the Louisiana Art & Science Museum’s Irene W. Pennington Planetarium will be hosting the first live performance of The Astronomical World of Harry Potter. This show will detail the many connections that some of the well-known series characters have with constellations, asteroids, planetoids, moons, and other objects found in our night sky. This show will reveal the mythological tie-ins that J.K. Rowling used to flesh out some of her many series regulars. For example, Draco Malfoy was one of the first classmates Harry met on his initial trip to Hogwarts. 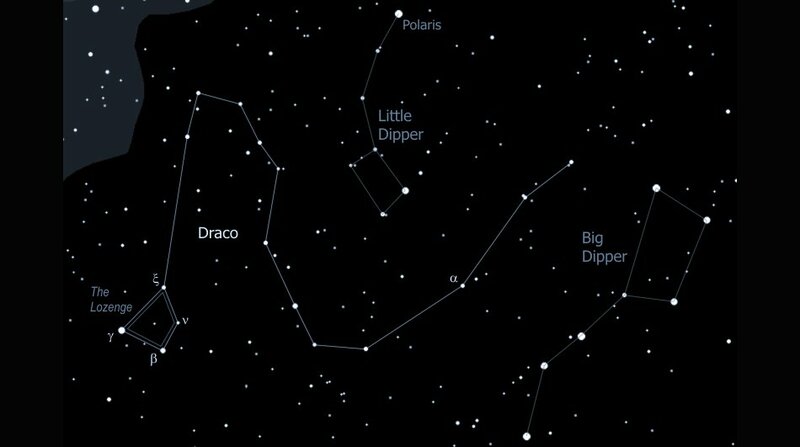 Draco is actually a constellation in our night sky representing a dragon. According to Greek mythology, Draco the Dragon attacked Athena, goddess of wisdom and intelligence; however, Athena defeated Draco and threw him into the sky where he remains to this day. If you remember in the series, Draco Malfoy and Hermione Granger were always at odds with one another. Draco would constantly berate Hermione about her genealogical background, but Hermione would always come out on top, besting Draco with her wit and intelligence. The name Hermione also has a Greek background and means “well born” and “stone.” The myth of Draco the Dragon and Athena is cleverly worked into the Potter series, mirroring the aggressive relationship between Draco and Hermione. If you look at Draco in the sky now you’ll see that its tail winds are serpent-like between the Big and Little Dippers. So it is a suitable name for a Slytherin who keeps company with the servile likes of Crabbe and Goyle. After graduation, Draco’s son is named Scorpius Malfoy. Scorpius is a prominent summer constellation representing a scorpion. A snapshot from the Astronomical World of Harry Potter show. Luna Lovegood in the sky at night. This brings us to Luna Lovegood. Luna Lovegood is one of Harry’s friends at Hogwarts who might be described as…unusual. Luna is actually Latin for Moon and is also the name of the Roman goddess of the Moon. 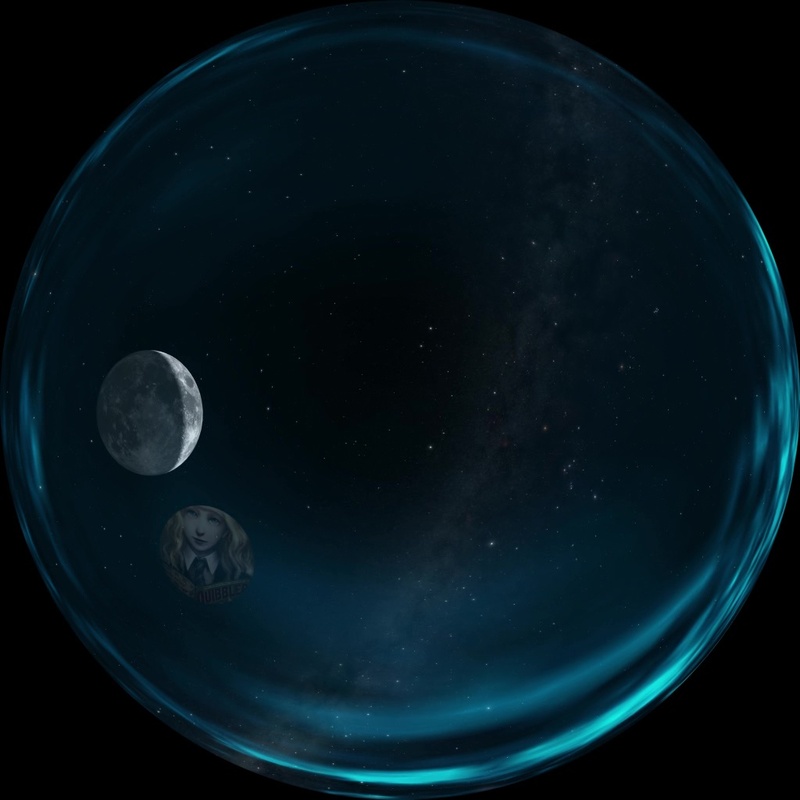 Luna Lovegood’s name is additionally a play on the connection people used to make between the Moon and lunacy. It was once believed by Greek philosopher Aristotle that the brain was the moistest organ in the human body and, therefore, most susceptible to the full moon’s influence much like the tides. Another character named Moon also gets a brief mention as a Hogwarts student. These are just two examples in the expansive world of names that rely on mythological connections to help flesh out the magical world of Harry Potter. In The Astronomical World of Harry Potter we will uncover the many astronomical connections within the Family Black: Sirius, Regulus, Arcturus, Bellatrix, Andromeda, Cassiopeia, Cygnus, etc. We will also uncover the story and origin behind the mother of Tom Riddle, aka Lord Voldemort. We will travel light-years away from Earth to view the star of Sirius as well as watch as our own galaxy collides with the Andromeda galaxy. And, no, we won’t forget to cover more details behind Dumbledore, Hermione, Argus Filch Ginny Weasley, Fenrir Greyback, and Remus Lupin (to name a few).